Geek Grotto - Get Your Geek On! 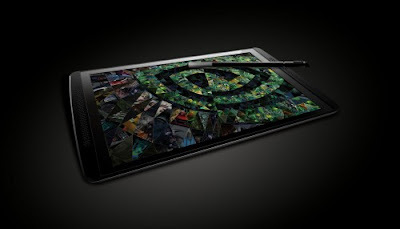 : NVIDIA Reveals The Tegra Note! NVIDIA Reveals The Tegra Note! Now this is the tablet I have been waiting for. NVIDIA has unveiled the Tegra Note platform for OEMs. What does this mean for you? That means that NVIDIA will not be selling them directly, like their video cards, but through OEMs like EVGA, ASUS, and others. Luckily, according to the press release, NVIDIA will be handling firmware releases directly. so everyone will be up to date regardless of who you bought it from! Full press release is after the break! In the next few months, our partners will be bringing Tegra Note to market worldwide with features that speak to local consumers, among them are EVGA and PNY Technologies in North America; EVGA, Oysters and ZOTAC in Europe; Colorful, Shenzhen Homecare Technology and ZOTAC in Asia-Pacific; and XOLO in India. They join other partners, including HP, ASUS, Toshiba, Kobo and Xiaomi, that have already announced Tegra 4-based products.